We have a range of Personal and Finance products on new motorcycles and we can help you choose your best option to make getting out on the road even more affordable. You've dreamed about the thrill of riding a Harley-Davidson® motorcycle and you've chosen the bike to fulfill that dream. Now let us help you take to the road as simply and quickly as possible. 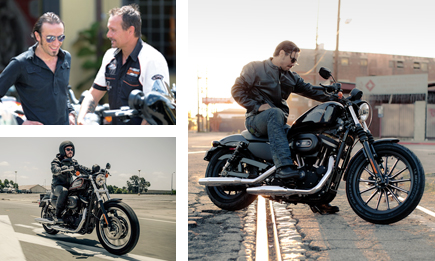 Packages can be tailored to suit your monthly budget enabling everyone to enjoy the true riding experience owning a Harley-Davidson®brings. Take home your dream bike with as low as 30% downpayment, with a maximum of 36 months to pay.